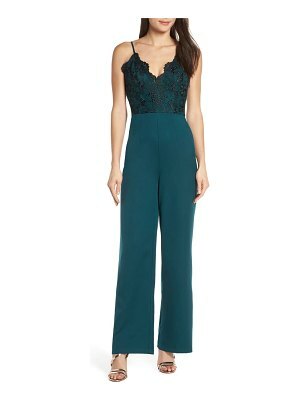 Get ready for the holiday party circuit with this one-and-done jumpsuit styled with a lovely lace bodice and scalloped edging. 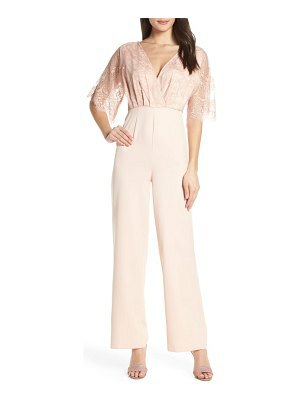 Style Name: Karen Kane Lace Bodice Jumpsuit. Style Number: 5644077. Available in stores.